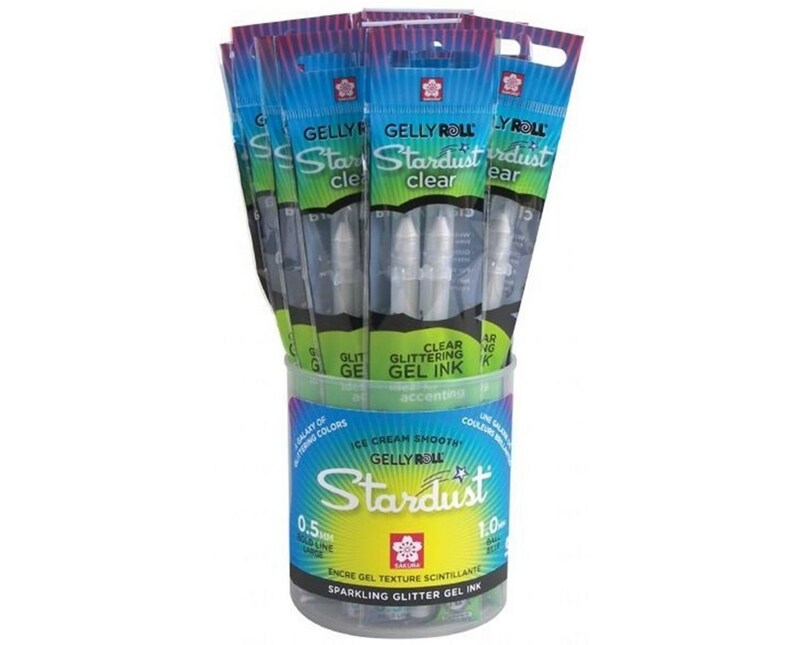 The Sakura Gelly Roll Stardust Clear Gel Pen is an ideal tool for all creative endeavors. It comes with a roller ball point for comfortable and easy writing. Its one-millimeter tip provides smooth, consistent 0.5 millimeter bold and glittery lines ideal for highlighting greeting cards, enhancing photographs, or embellishing gift bags and wrapping paper. 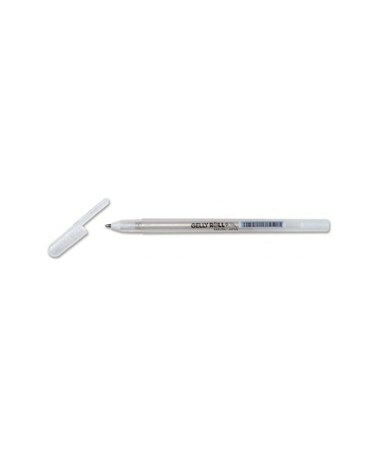 This gel pen features crystal clear ink with glittering dust made of inert, cosmetic grade, finely ground glass. It sparkles on light or dark colored paper with glossy or matte surface. It can adorn different materials easily and neatly without any need for messy powders or heat guns. 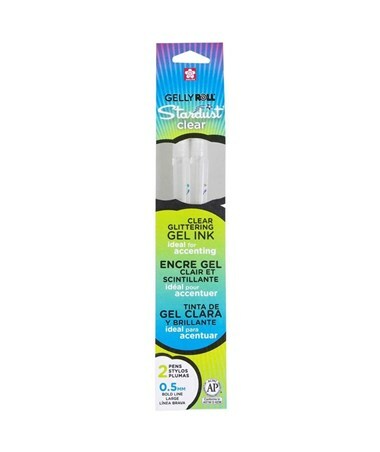 It includes two clear gel pens that resist smearing, feathering, and bleeding through on most papers. It may also come in a three-inch diameter display that is 6 ¼-inch high and contains 18 two-pack gel pens. 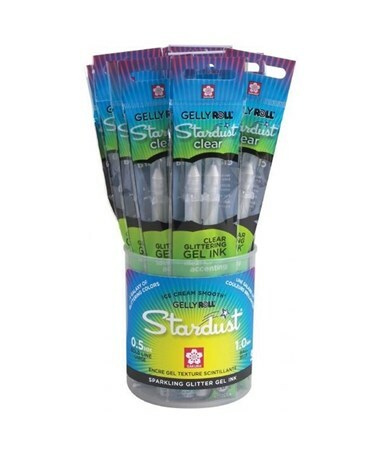 The Sakura Gelly Roll Stardust Clear Gel Pen complies with the ASTM and ACMI non-toxicity standards to ensure safety use at all times. 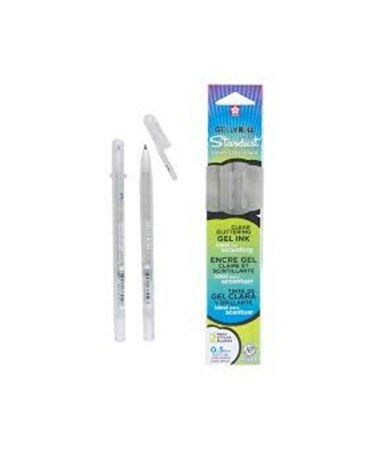 The Sakura Gelly Roll Stardust Clear Gel Pen comes in two package options. Please select your preference from the drop-down menu above.